July 7	Marcus Eaton. A Homegrown Music special guest appearance. 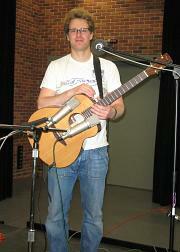 Idaho-based guitarist, composer and vocalist released The Story of Now, which won the Graham Award for best CD of 2007 on Mixed Bag. Recently, Eaton has been performing extensively in the Northeast, so he stopped by to pay a visit to the series. It's not exactly Homegrown this time, but the music is quite remarkable. He performs a set of brand new pieces marked by his fascinating. rhythmically intricate style and his impressive acoustic guitar technique. With a little help from looping technology he performs rich arrangements of his music by himself in real time. (Encore from 2008). July 14	Malaker & Baransky. A folk-rock trio from Norheastern PA making their Homegrown Music debut with a collection of original music, often with whimsical lyrics. July 21	Don Shappelle. From the Wilkes-Barre area, folksinger and songwriter Don Shappelle is a long-time guest on the Homegrown Music series, first appearing on the series in the 1970s. 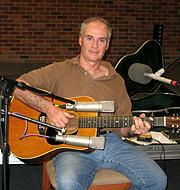 Over the years, he has stayed true to the music, and has appeared with Pete Seeger on several occasions. He returns to HGM after a four-year absence, to perform a new collection of his original music. 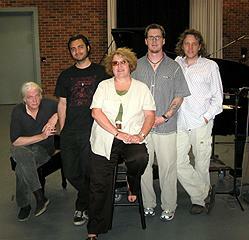 July 28	The Ann Kerstetter Band. A high-school Spanish teacher from Northumberland, PA, Ms. Kerstetter was also the winner of the 2008 Billtown Blues Festival challenge. A life-long singer, and performer in regional bands since the 1960s, Ms. Kerstetter makes her debut appearance on Homegrown Music with a great band of musicians from the region, including pianist Greg Burgess and bassist Andy Seal, among others.